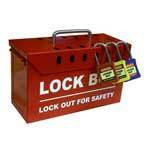 The Master lockout padlocks help keep all areas properly secured as conveniently as possible. 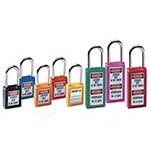 These padlocks are especially useful in areas where there is valuable equipment to be kept secure or locked down. One of the advantages of using these types of locks is that they are compatible with the lockout hasps, which are sold separately. These padlocks are available in two convenient sizes; the smaller model is 46mm in height and the second measures 76mm. 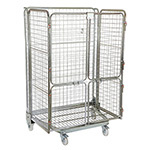 The six pin tumbler cylinder is designed for maximum security. A key retaining feature helps to ensure that the padlock cannot be left unlocked, which is quite helpful when employees have to leave the area for a moment and may not remember to lock it up. 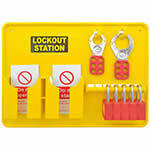 Lockout signs are used on each of the locks and these may be easily customised according to company specific requirements. 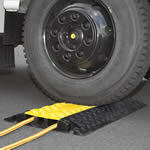 The design is lightweight, yet durable, with the lock body being made from Zenex. Its plated shackle measures 6mm. 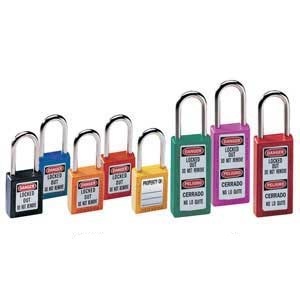 These padlocks provide extra peace of mind to any company that is concerned about safe, effective storage. The locks are built to last for many years and are not susceptible to the damage that lesser-quality products may suffer. Companies that rely on these locks for their security needs can be assured they are purchasing a high quality yet economical product.